Emily Meihak Stickelberger O.D. 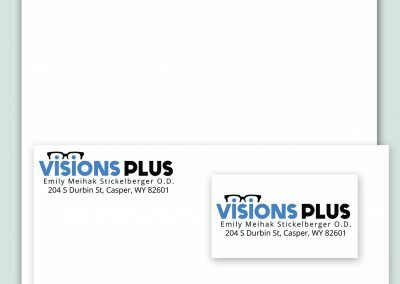 purchased Visions Plus, a Casper Wyoming Optometry Office, and asked Fort Atelier to aid in the re-branding of their logo design. 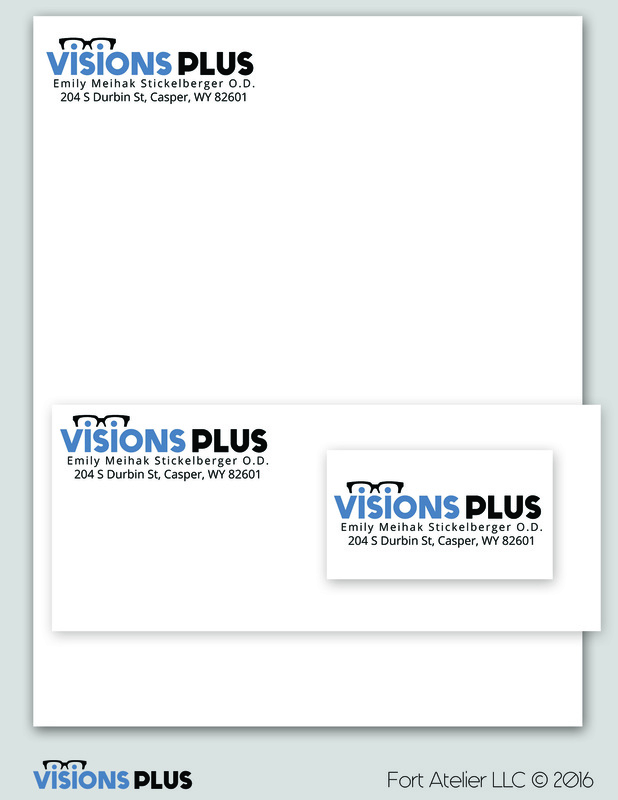 Through the process of many logo design renderings and back and forth collaborations, Fort Atelier was proud to create a clean, professional, and yet still creatively fun logo design for Visions Plus. The logo design was packaged into various formats for the customer to easily adapt their branding for any project.